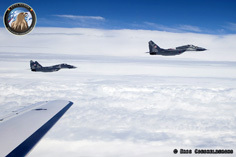 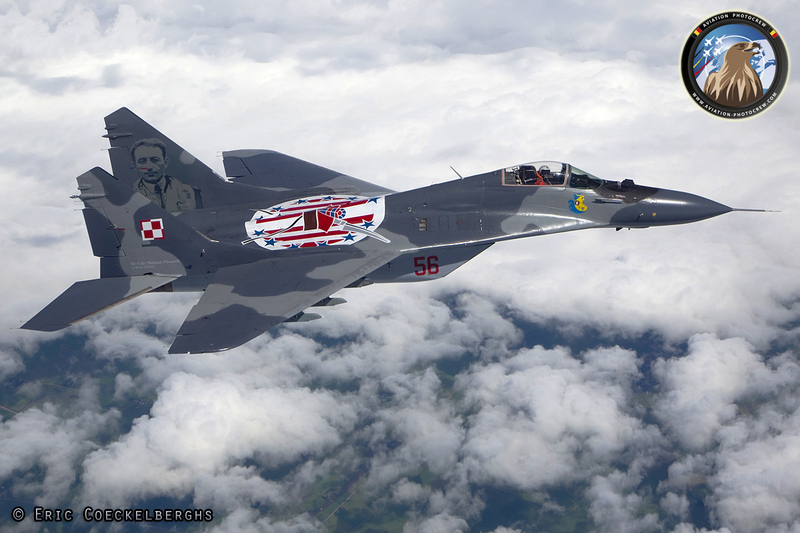 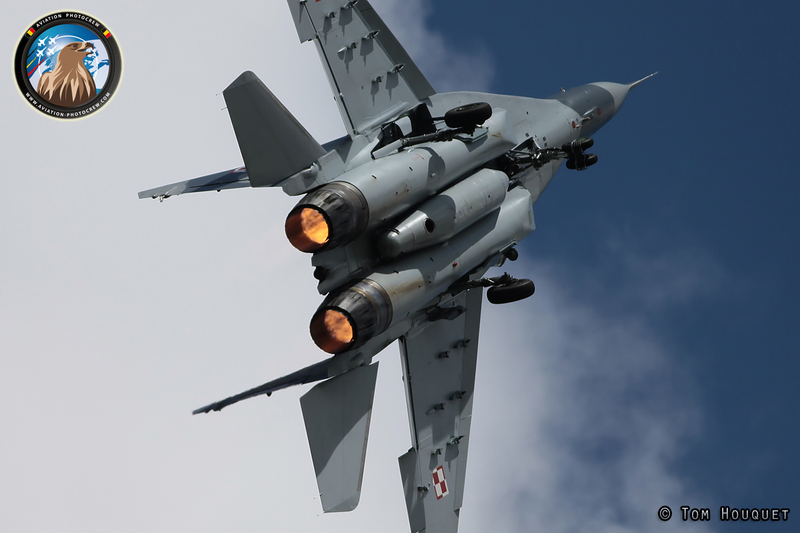 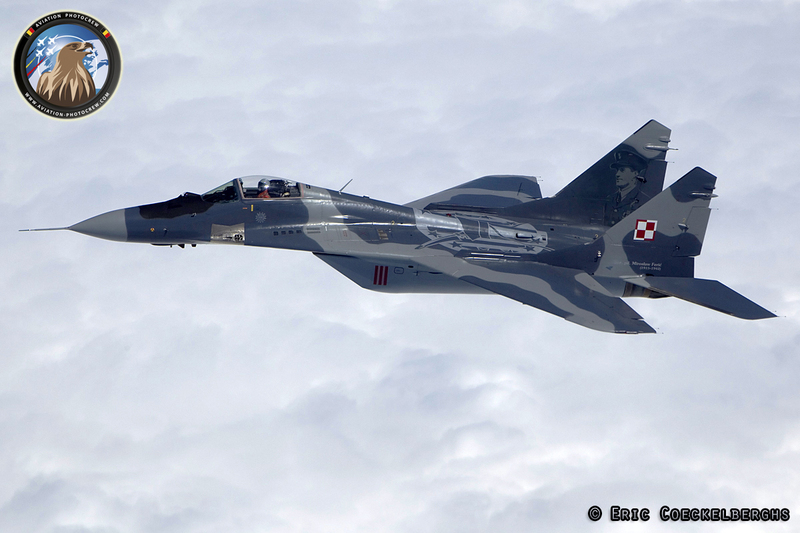 The Polish Air Force has made a large transformation past decades following the Cold War. In the beginning of the 90s, the Polish Air Force existed of Russian-built hardware existing primarily of Mig-21s, Mig-23s, Mig-29s, Su-20s and Su-22s. 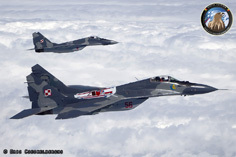 Gradually the number of Jets decreased and nowadays only the Mig-29 and the Su-22 Fighters are kept flying through the Polish Skies. In 2002, Poland chose Lockheed Martin F-16C/D Block 52 as its new multirole fighter, safeguarding the future of the Air Force. 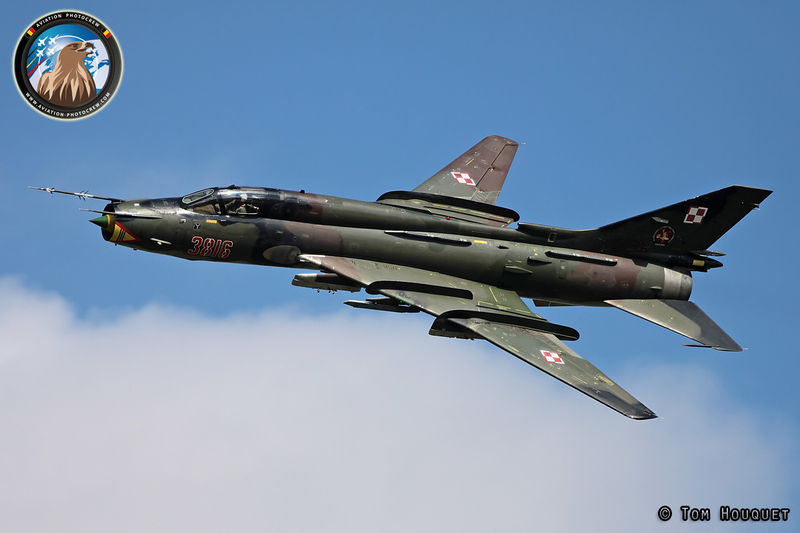 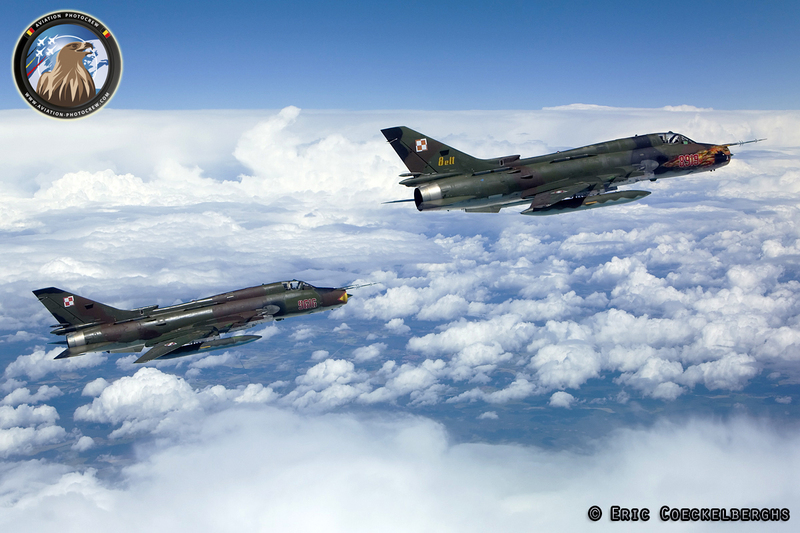 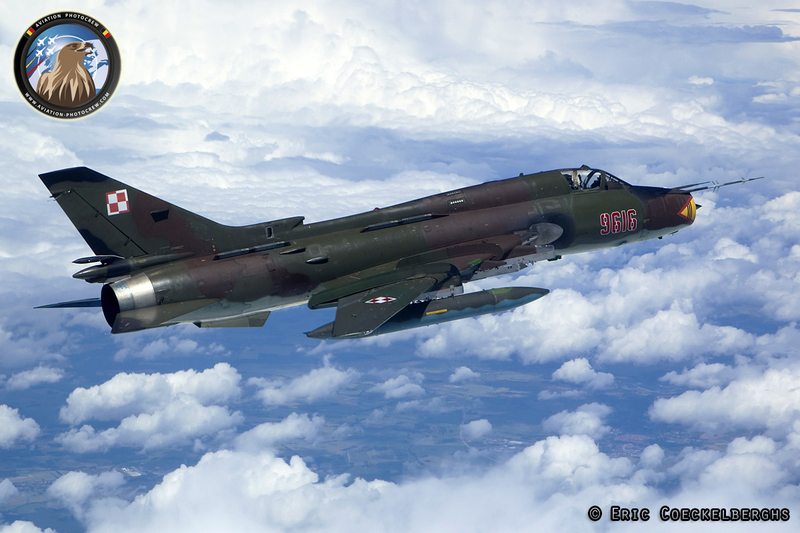 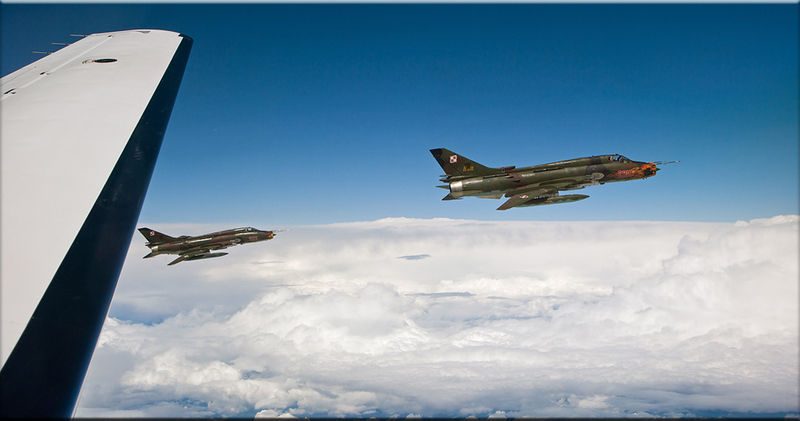 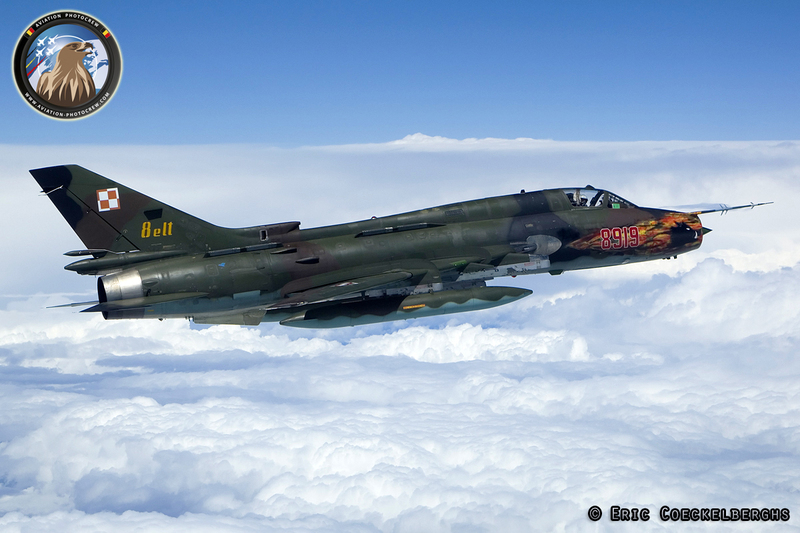 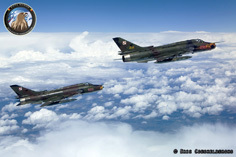 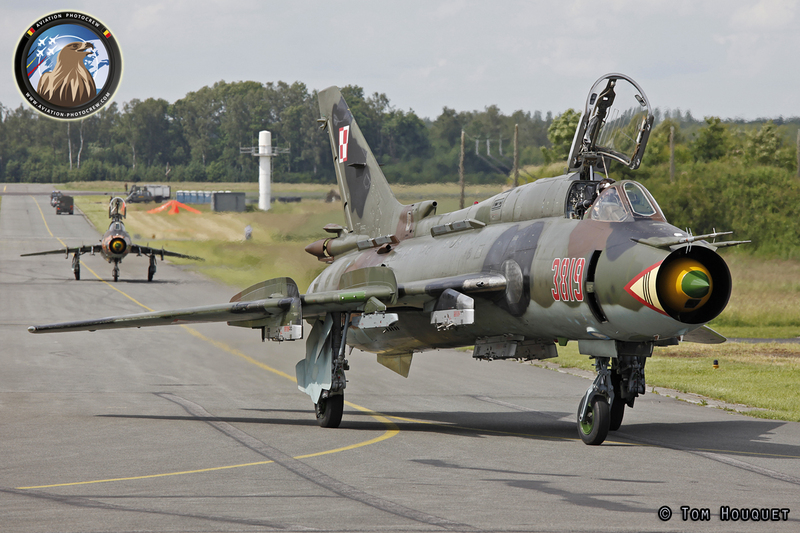 Acquired during the mid 80s, the Su-22 Fitter is still holding strong in the Polish Air Force. 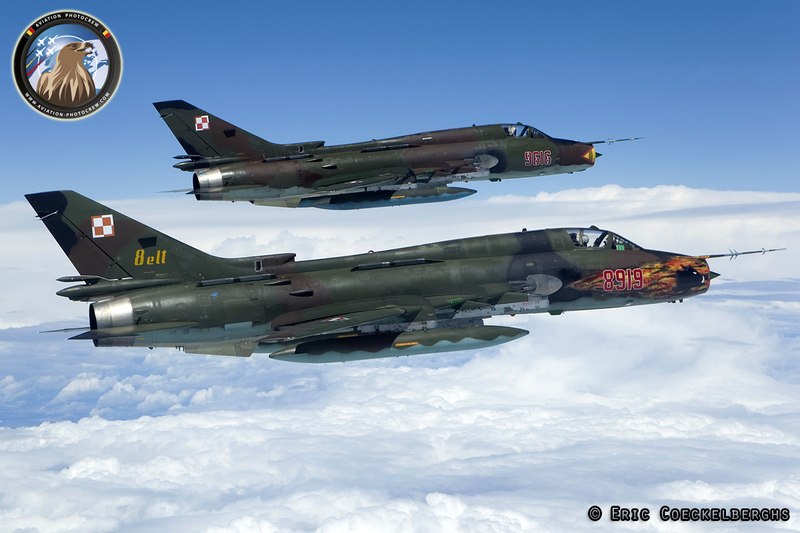 Of the original 110 delivered, 32 aircraft are still flying today in the attack role. 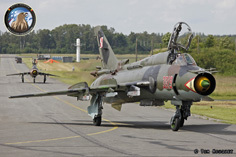 Three Tactical Squadrons operating these large Jets are based in Miroslawiec and Swidwin Air Base. 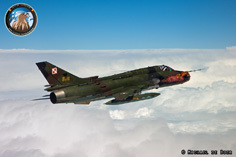 Nowadays Su-22 are a very rare sight in European Skies, as the Polish Air Force is the last operator of these Jets in Europe. 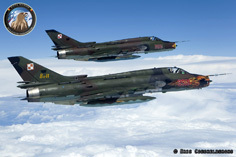 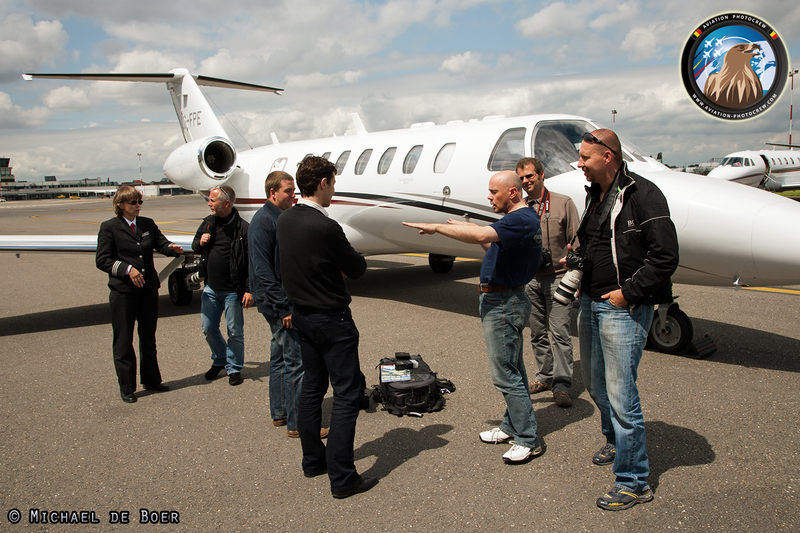 Luckily they participated some Airshows during the summer of 2012 flying a tactical two-ship attack demonstration. 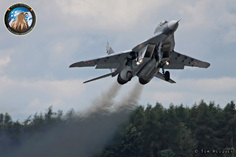 The Florennes Airshow in Belgium and the NATO days in Ostrava, Czech Republic, were one of these rare occasions to see this mighty Jet in action. 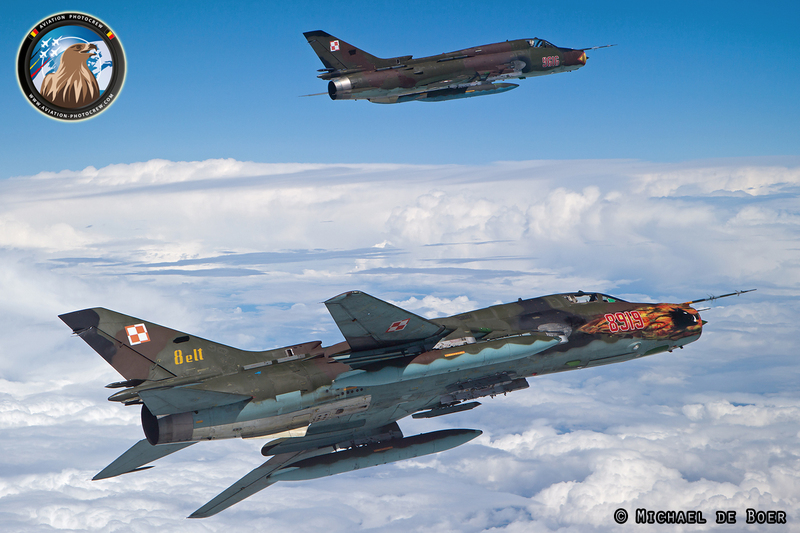 Unfortunately the story of the Polish Fitters will soon end, as they are planned to retire from active service in 2018. 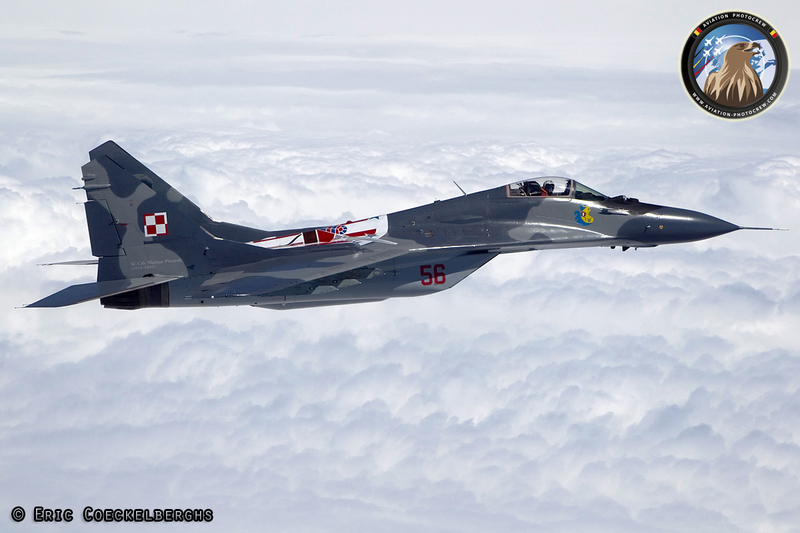 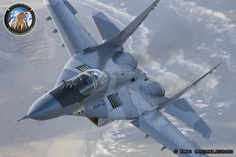 Poland is the biggest NATO MiG-29 user, operating a fleet of 32 active aircraft. 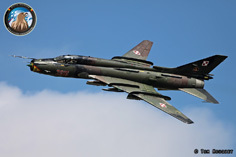 Delivered in the late 80s, the original fleet was strengthened with the acquiring of ex Czech and German Air Force examples. Divided in two Squadrons at Malbork and Minsk Mazowiecki Air Base, they are operated in the Air Superiority role together with the new F-16s. 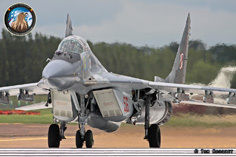 The Mig-29 has always been a very welcome guest at Airshows around Europe, and during the past years the Polish Air Force solo display could be seen at Leeuwarden and Fairford, where they won the trophy for best flying demonstration by an overseas participant. 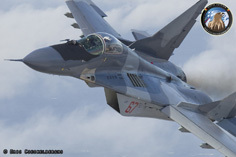 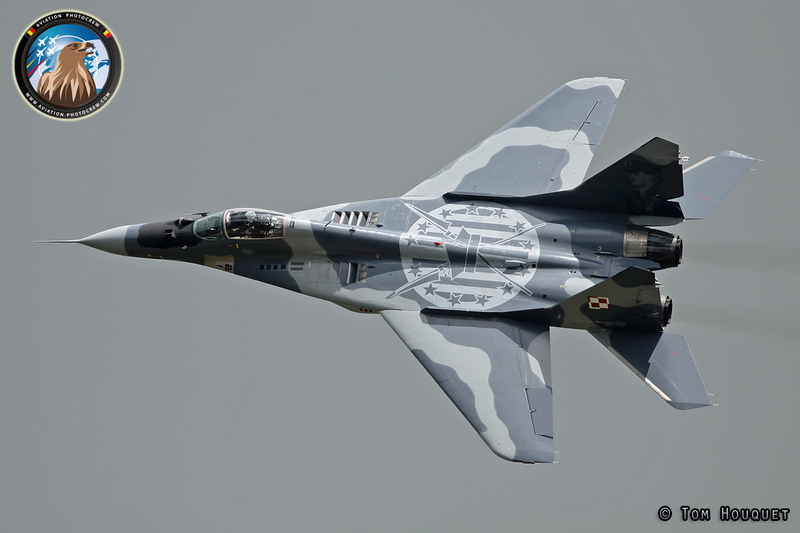 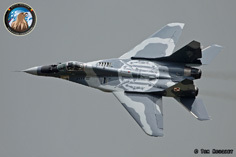 In 2012 two Mig-29s received special markings displaying the Squadron badge on the top fuselage and honoring two second World War Aces painted on the inner section of the vertical fins. 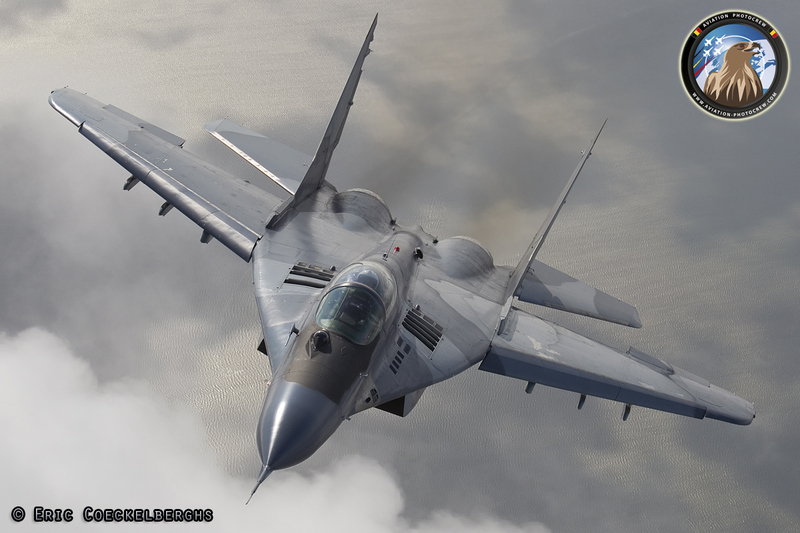 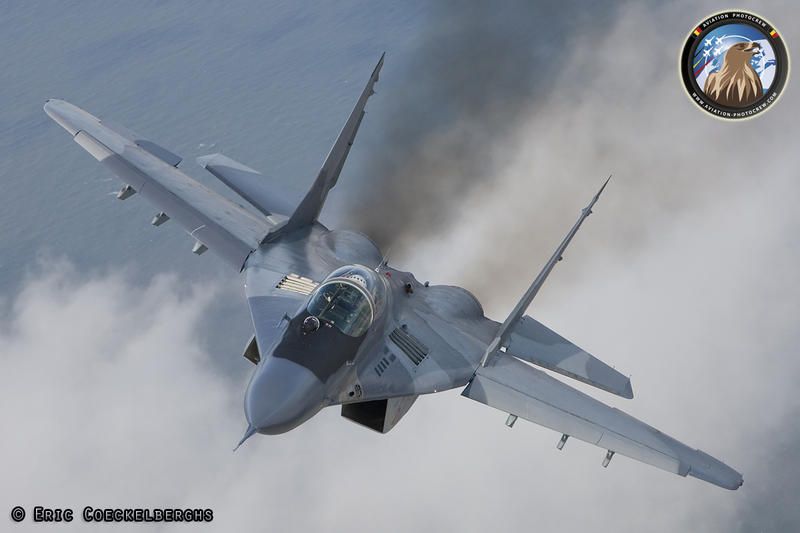 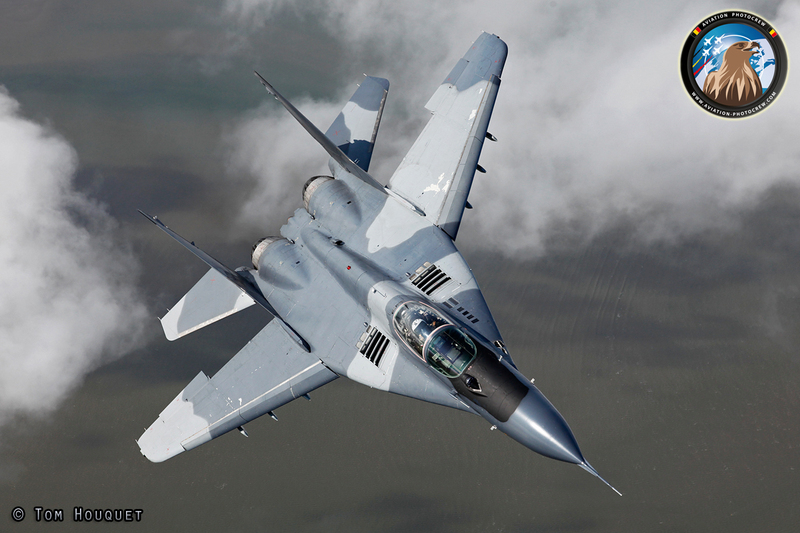 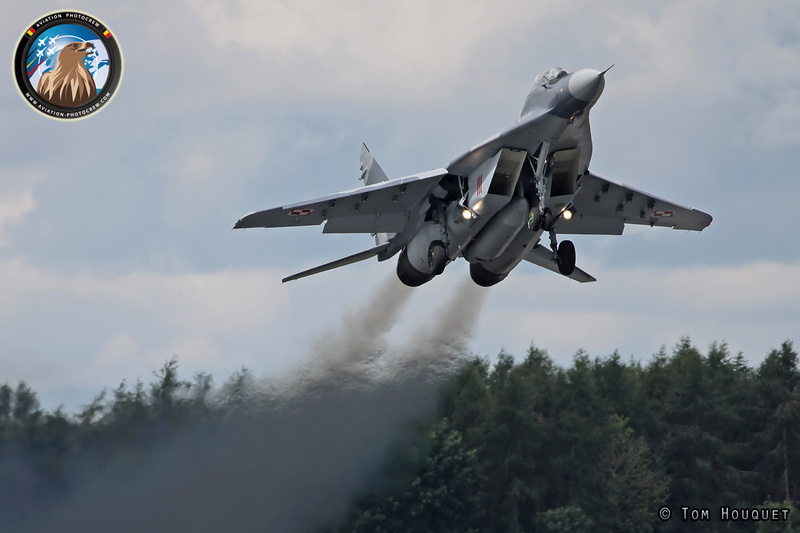 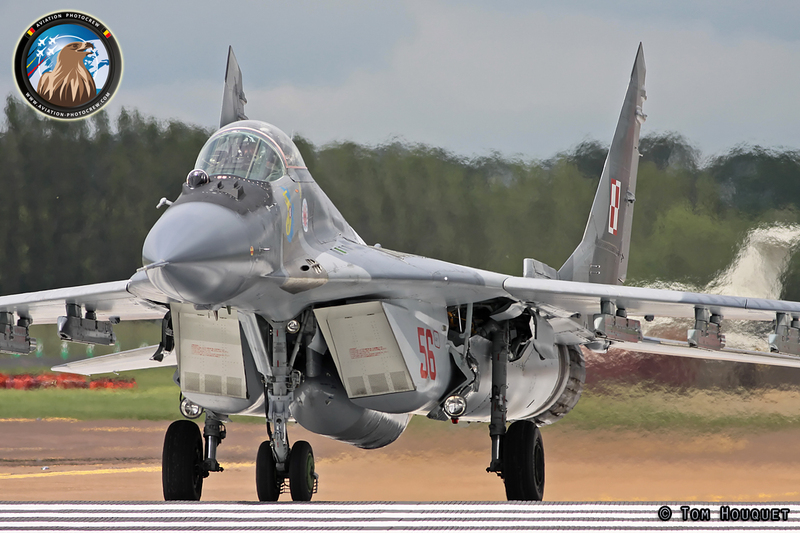 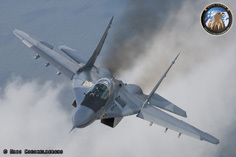 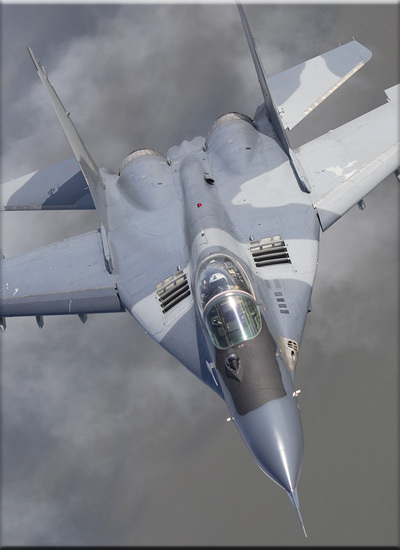 The Mig-29 will keep on flying well through the next decade, guarding the Skies over Poland. Hereby we would like to thank everyone who made these extraordinary photoshoots possible, especially the Polish Air Force and our photo pilots!